Preheat the oven to 180 degrees bake (normal bake). 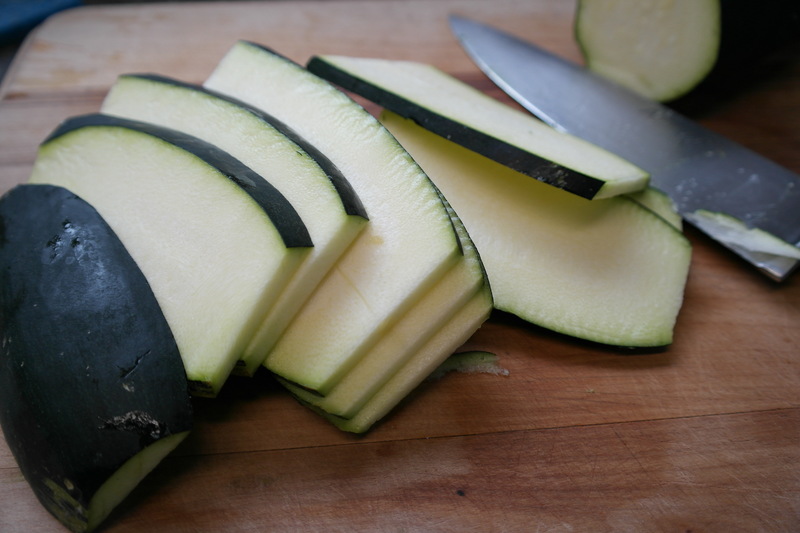 Slice the zucchini into lengths, aiming to have them about 5mm thick (basically you don’t want ’em too thin, that’s all otherwise when they cook they’ll overcook and go a tad mushy). Plonk the flour on a plate and season it. 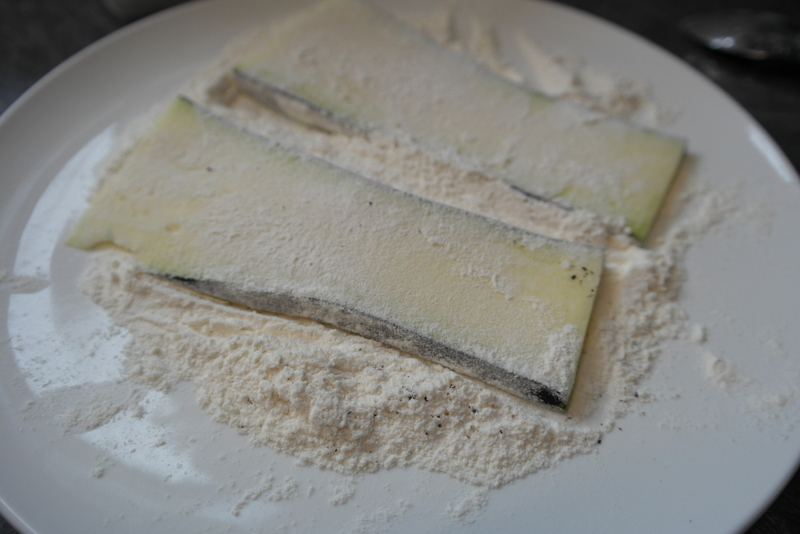 Lightly coat the zucchini in the flour and place the now floured zucchini to one side on a clean plate. Heat a large frying pan and add a good glug of olive oil (Top tip: I usually have two frying pans on the go to speed things up!) Shallow fry the zucchini on both sides until golden brown. 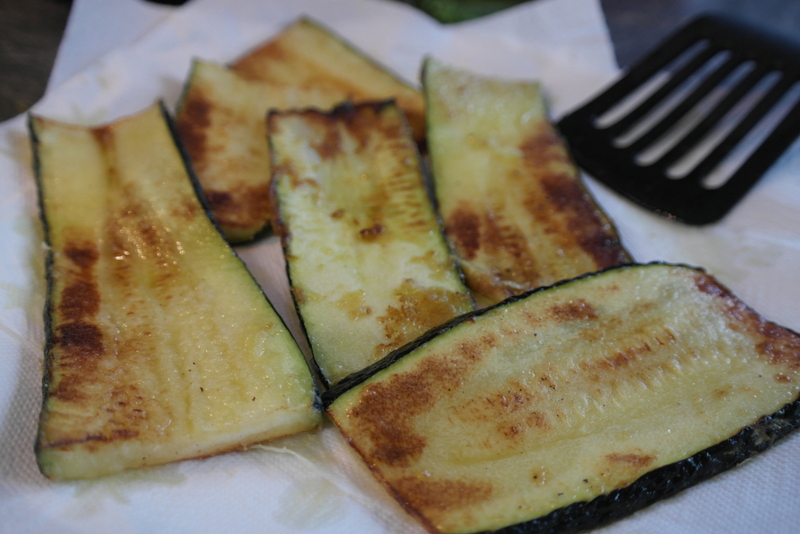 Set zucchini aside on some paper towel so the excess oil is absorbed. 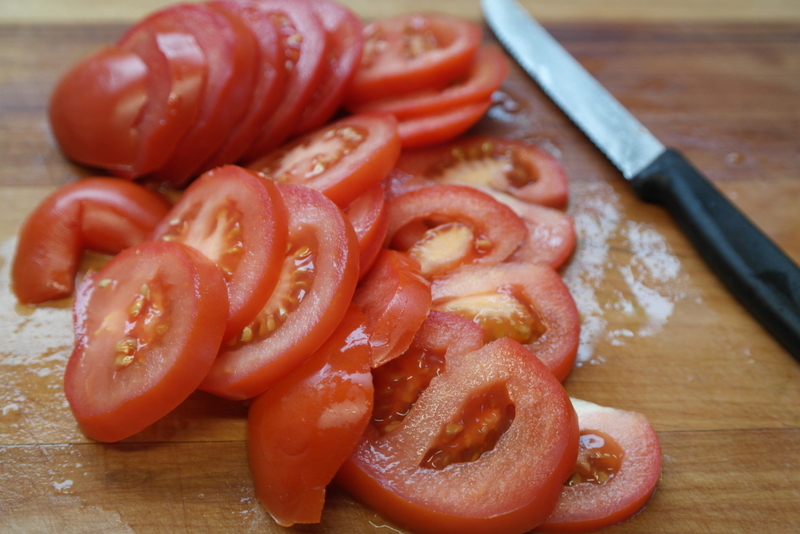 Slice the tomatoes (again, you don’t want ’em too thin!). Grease a medium-sized casserole dish. 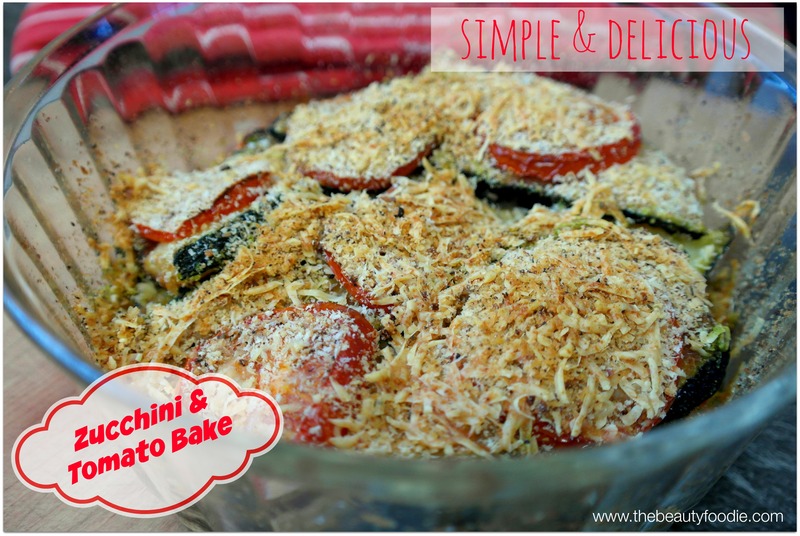 Place a layer of zucchini on the bottom and top with the tomatoes. Season the tomatoes well. Do another layer of zucchini and tomato and repeat these steps until you’ve got no veges left. Finish with a tomato layer on top. If you have fresh basil on hand, whack some torn up leaves in between the layers (I didn’t… but this takes the flavour to a whole new level). 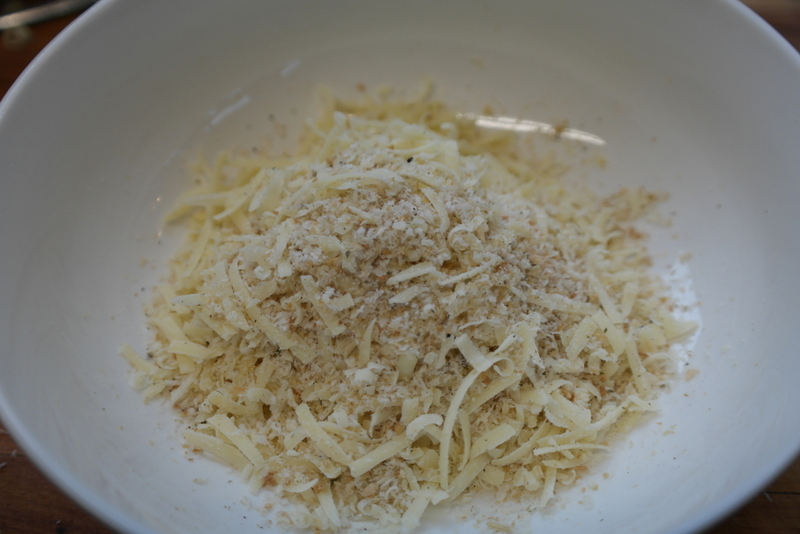 In a small bowl plonk in the Parmesan cheese, breadcrumbs and herbs. Mix together. 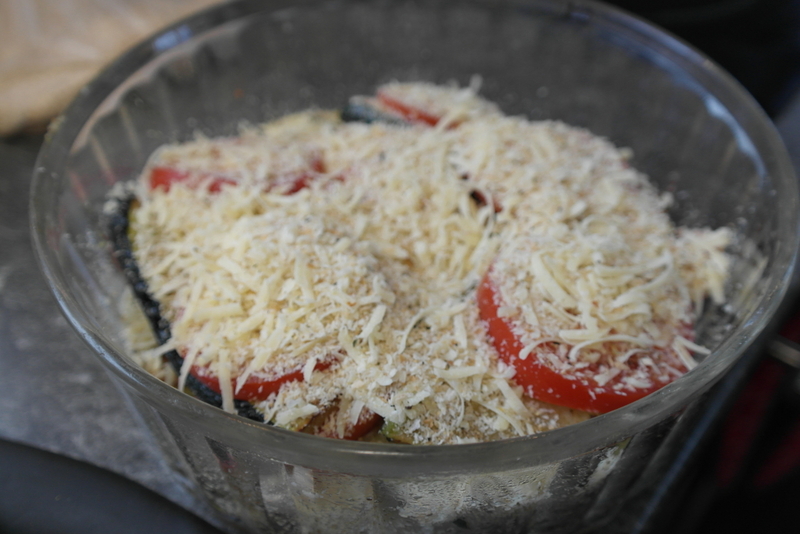 Top the zucchini/tomato dish with the cheese/breadcrumb mix and place in the oven. Bake for 45 minutes or until the top is golden brown. Pan fry ’em till golden. Chop the tomatoes. Not too thin. Not too thick! 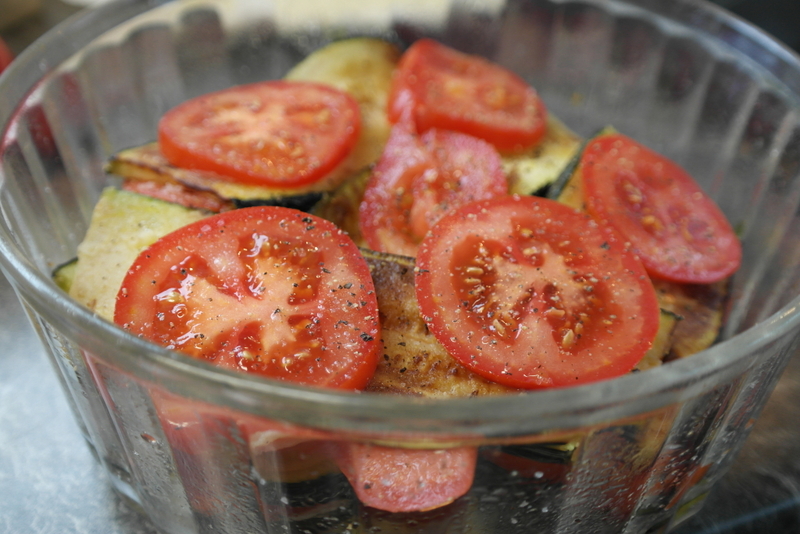 Layer the zucchini with the tomato. Start with zucchini, then tomatoes, back to zucchini. You get the idea. Finish with the tomatoes on top. Mix together the breadcrumbs, herbs and Parmesan. Biff the breadcrumbs and Parmesan on top… Bake!